Teradici is the creator of the PCoIP remoting protocol technology and Cloud Access Software, the leading solution for a cloud-ready future. The company, founded in 2004, is focused on its core mission of seamless delivery of workstations and applications for end-users. Last month, Teradici and Cloud Access Software were highlighted in several activities and events by key partners. Of course, while we here are excited to see PCoIP technology be recognized for facilitating and securing virtual workstations in the media and entertainment industry, here are three reasons why you should be too if you are considering the move to the cloud. Cloud computing offers unique opportunities to change how studios in Media & Entertainment work, share, and collaborate. So, it has been a mission (and still is) of Teradici to support and facilitate the evolution of cloud computing for this industry and offer solutions that enable customers to take full advantage of the cloud. 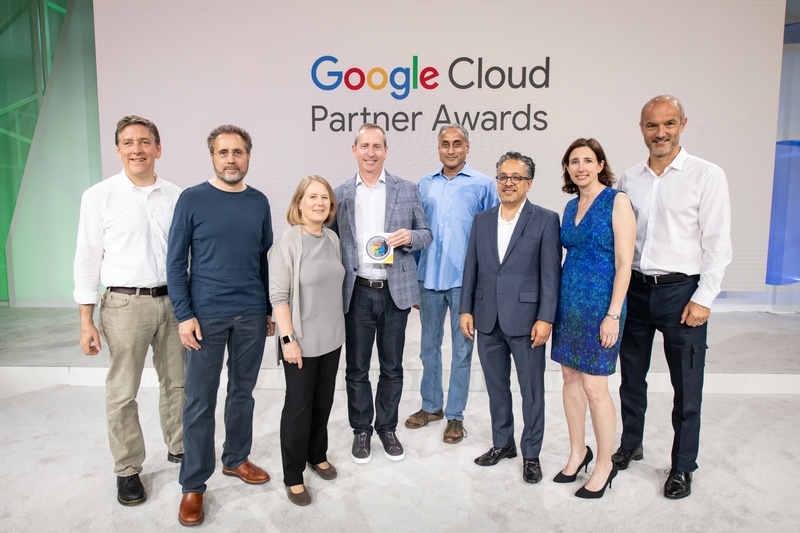 As recipient of the Google Cloud Partner Award for Innovative Solution in Media & Entertainment , it is an honor to be both recognized for these efforts and for being a key partner of the Google Cloud ecosystem. Recently, Google Next ’18 gave attendees a glimpse of what’s next for Cloud, and hosted an expo of partners demonstrating technology designed to work with Google Cloud Platform (GCP). Two demonstrations of note – the first, a Google-hosted live creation of an animated short featuring robots dancing. Produced entirely in the cloud via a virtual animation studio using Google Cloud Platform, this “Robot Dance Party” was made of 13 shots, totaling 1,440 frames to animate and render at 4K resolution. Teradici Cloud Access Software facilitated the production workflows for this quirky yet fun animation which were created using Adobe Premier, Maya, and Zbrush. Secondly, Cloud Access Software was chosen as the proven technology to help remote a simulation designed for engineers of all disciplines. 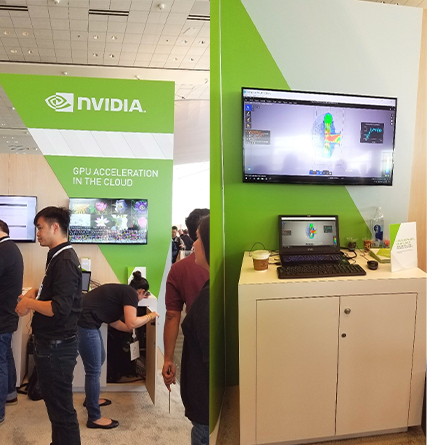 This interactive, real-time simulation was hosted by NVIDIA where they showcased their Tesla P4 GPU running from Google Cloud, enabling ANSYS Discovery Live to show instantaneous engineering models. 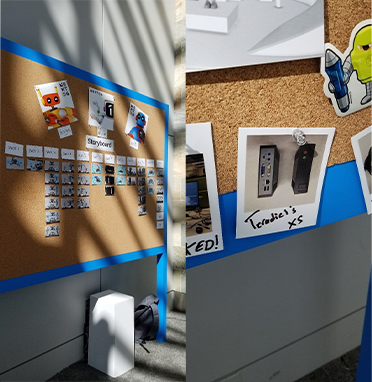 NVIDIA booth at Google Next ’18 using Teradici Cloud Access Software to remote an interactive simulation using their Tesla P4 GPU. 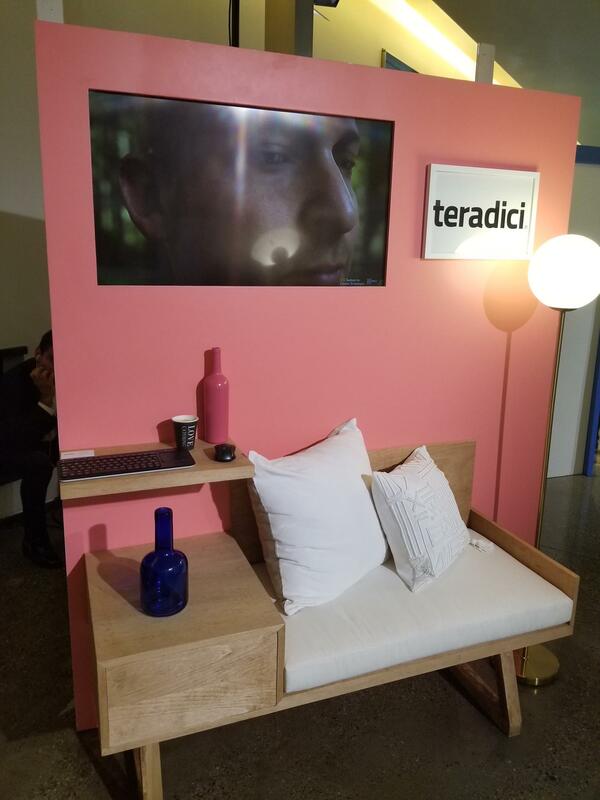 Lastly, the Teradici team took part in an event celebrating Google Cloud’s LA Region. This is the 17th region from Google and positions the company right in the center of the Los Angeles media and entertainment industry – making it clear they will be a major provider helping accelerate the growth of production houses that other cities have seen like Vancouver and London. So in LA, good traffic can happen. Well, data traffic that is, or the lack of it with the help of this new cloud region. During last month’s celebration, Google proved that it is possible to work remotely using the public cloud and achieve an incredibly fast latency even when working with complex, data-intensive graphics. The speed at which data can travel will not only enable animation studios and other content creation companies to work faster and collaborate more easily, but elevate LA as the destination for all-things M&E. This one-day celebration also brought together key technology partners from data security to storage providers to showcase the ideal ecosystem of working effectively in the cloud. Attendees were exposed to demos and workshops and had an opportunity to network and immerse themselves in technology changing the landscape of M&E. Adrian Graham, Senior Cloud Solutions Architect, demonstrating a live virtual workstation during the session, “Creativity in the Cloud”. 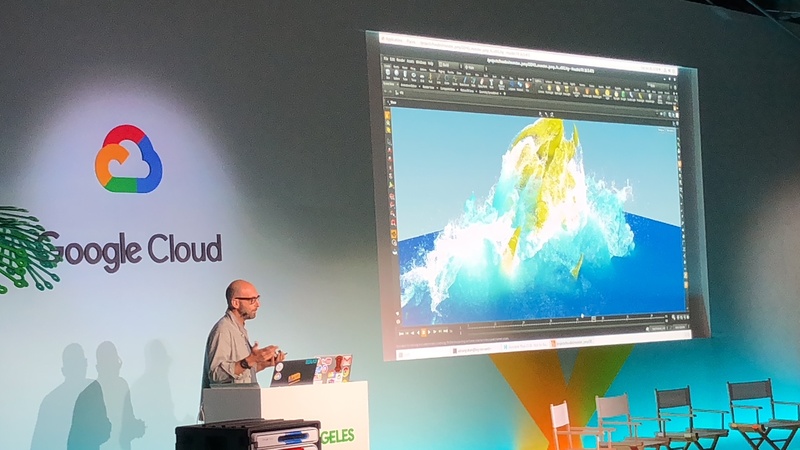 Houdini and Maya are running remotely in Google Cloud using Teradici Cloud Access Software for visualization. Demos of Cloud Access Software showing companies how they can source talent globally, better manage “bursting” of workloads as projects scale, and provide “anywhere” access to applications. Read more about GCP and the launch of the new data center region here. Explore Cloud Access Software and how companies in M&E can use virtual workstations to their advantage.